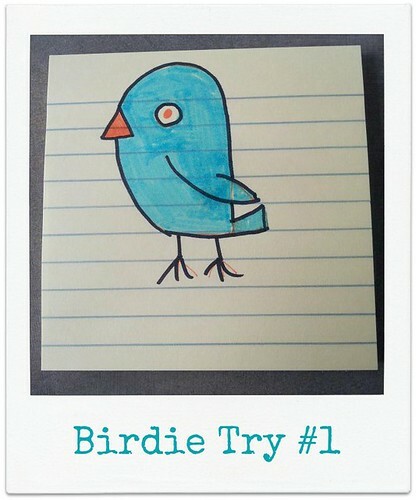 Today I try to draw a bird. I’m going to toot my own horn for a second and just flat out say that I’m a pretty good crafter. I have some basic artistic skills and the ability to take whatever you put in my hands and figure out what it wants to be or be part of. What I am not is a good artist. I’m not even passable when it comes to drawing, but I want to change that. While you can put something in front of me and I can sometimes produce a decent version if you give me enough time, for the life of me I can not sketch out something in my head. That’s ok though, there is always room for improvement and certainly learning. 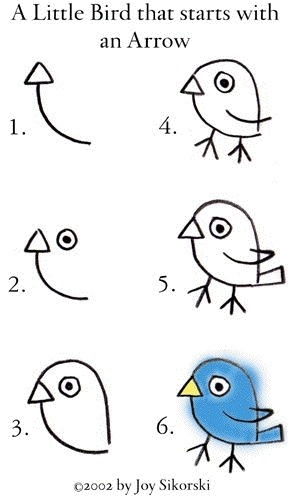 Today’s pin How to draw a bird. Um, yeah. It’s a start? I know it’s not bad, but it felt very forced. Perhaps with practice I can make it a little cuter and less stickinthemudd like. Are you learning how to do something new? How’s it going?